This simple phrase is the key to building links, attracting visitors, making money online, ending poverty and achieving eternal happiness. Okay, so it can’t do all those things, but content will forever be king when it comes to online marketing. There’s no disputing that. But here’s the catch: building great content is really, really hard. It takes effort, financial investment and time. We all know we need to build exceptional content, but very few people know how to actually do it. This post is an in-depth look at great content and how it manifests in the real world. Below is a long list of different types of content marketing that you can do. I’ve evaluated each method based on cost, ease and linkability. Cost is the amount of investment required to do such a strategy. Ease is how much time and effort is required to implement the strategy. Linkability is an estimation on how likely the content is to generate links and shares to the content. Blogging is the anchor of content marketing and what most people first think of when they hear the term. If you have people who love to write, this is an outstanding opportunity for them. Blogging’s very cost effective, whether the writing is done in-house or outsourced. There are plenty of talented writers online who would be happy to write for your blog. However, every post isn’t going to get you oodles and oodles of links or social shares. Consistency is key when it comes to blogging. Make sure you are writing about interesting topics though. Just writing something isn’t going to cut it. Be engaging, controversial and captivating. Be interesting! 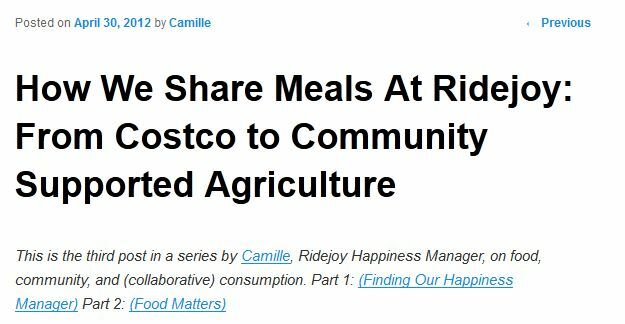 This blog post by Ridejoy goes into great detail about how they have implemented a meal-sharing program at their company. One of their company goals has been to create a “positive food culture” by enjoying high-quality, organic food together. The post is exceptional for a few reasons. It’s very personal and makes me feel like I know Ridejoy in and out. It’s also extremely unique…it’s not often that “food culture” is the topic of choice on a company blog. Videos might be my favorite form of content marketing. They can be used to evoke so many different feelings and emotions and thus are an excellent tool for branding. This is why you see videos being shared so frequently on social media. You can write thousands of words to describe something that a video can convey in a few minutes. If you are serious about using video in your content marketing campaign, pay the extra bucks and get somebody professional to help you with production. Nobody is going to care about your viral video if it’s shot on a flip phone. Don’t think there is a better way to spread the word about your gaming studio than having the great Neal Stephenson sword fighting. The video is clearly professionally done and does a great job of incorporating humor. Infographics are a great change of pace from a traditional blog post. Instead of expressing data in paragraphs of text or HTML tables, spice things up and use the data to create something beautiful. If you don’t have a designer on your team, there are plenty of freelancers and design companies out there who would be happy to help you come up with a killer infographic. Don’t fall into the trap of hastily slapping together a graphic–make sure you are using data that is better presented in a visual form. I suggest reading Tufte before you start brainstorming ideas. 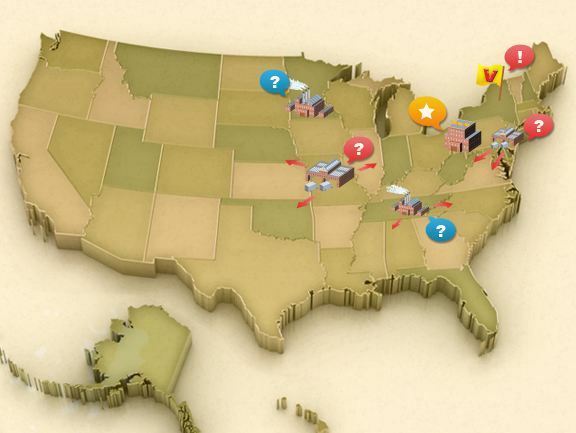 It’s worth noting that the market for infographics is extremely saturated. So many people are producing infographics that the overall quality of them has decreased dramatically in recent years. It’s still a great tactic if you are creating something unique and memorable, just don’t go halfway. This beautiful infographic from the NYT was released on the eve of the NBA Finals. 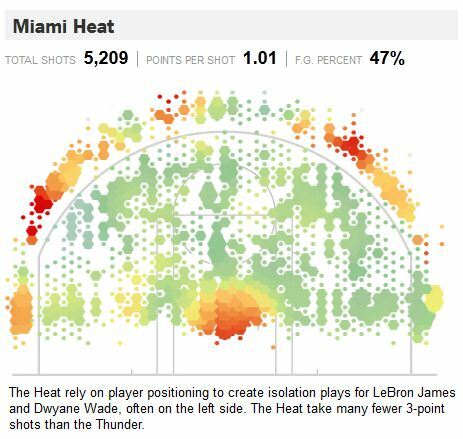 It shows where each team and player scores from on the floor — information that is best presented in a visual, interactive form. If you are driving to drive engagement to your site, then contests are a must-do. You probably already have a killer product or tool or service that you can give away (and if not, some cash always works fine :D). Get creative and encourage people to do something unique to enter your contest. Have them create a video, write a funny tweet or share something on Facebook. People turn into brand advocates very quickly when they are trying to win something. Make sure to structure your contest in a way that will help it go viral. Require a tweet or a share to enter. Make it super easy for people to let their friends know they’ve entered a contest. This example of content marketing by Mosquito Magnet exposes entrants to their products, shows them a little bit more about the brand and makes it really easy to enter. Chances are you already have some really good tools that you’ve created and customized for your own internal use. Maybe it’s a quick productivity hack or an internal web app that you love but never thought about sharing. If you are looking for something new in your content marketing campaign, open these tools up to the masses! Free tools can quickly become one of the most popular offerings on your site and can help you reach a wider audience than you ever imagined. Simple tools can be the most effective. Check out this free Word Doc to HTML converter. It doesn’t do anything fancy, but it has attracted over 100 linking root domains. Product reviews are another great content marketing tool. Reviews are usually really easy to write; you try something out, give your two cents and hit the publish button. If you really like a product or service, let the provider know that you wrote a positive review. Chances are they will share it with others and create links/traffic to your site. Writing quality, honest reviews can also increase your presence as a thought leader and trusted resource online. Being honest is the best way to maximize the results from the reviews that you write. I stumbled upon a few reviews by Paul Stamatiou and really liked his candor and honesty. It helped create a personal connection and I’ve turned into a full time reader of his blog, an RSS subscriber and a Twitter follower. And now I’m blogging about his reviews! Unless you are really embracing the art of minimalism, you probably have a camera of some sort with you at all times. You also probably see really interesting/beautiful/funny things pretty often. Share these photos! Even personal photos can be great fits for a corporate blog — it gives the blog a personal touch and human feel. If you are selling something, make sure you take professional photos of your products. Invest in a DSLR or hire somebody who has one. Professional photos can transform your product pages into attractive, linkable content. Threadless, which sells amazing community designed t-shirts, is a great example of how to use photos for content marketing. Their product images are always entertaining and greatly enhance the experience users have when browsing through their site. It makes their brand fun. eHow is a telling example of how often people need “how to” information online. Dozens of websites have grown into giant web properties by providing thousands of how-to articles. You are likely an expert in something. Even if it is a really niche subject, there are people out there searching for information about it. Take a few hours and write an epic, detailed guide on something related to your website that you are passionate about. This can be done as a video or infographic or series of photos. Make your website the leading authority on something. You’ll attract tons of visitors who are interested in you and your company. Recipes are one of my favorite examples of using how-tos for content marketing. I’m awful in the kitchen and pretty much never cooked until I discovered Lean Body Lifestyle. Michael offers simple, healthy recipes that even the most culinary-challenged can follow with ease. I’ve written about this tactic in detail before over on Raven Tools’ blog. Music listening has always been a social event, and the web has made sharing your favorites even easier to accomplish. Almost everyone visiting your website will love music. Use this to your advantage. Create and share lists of your favorite songs, themed playlists and tweet about what you are listening to. TIME Magazine named “the protestor” their 2011 Person of the Year. Instead of just writing about it, they decided on a more interactive strategy, including a Spotify playlist of protest songs. Awesome. Along with taking professional photos, you can also make your products more share- and link-worthy by allowing customization. Obviously, this won’t work for every website or business, but it’s a great way to use existing content to generate a marketing buzz. Custom products carry a lot of personal pride and people love to show off their unique creations. 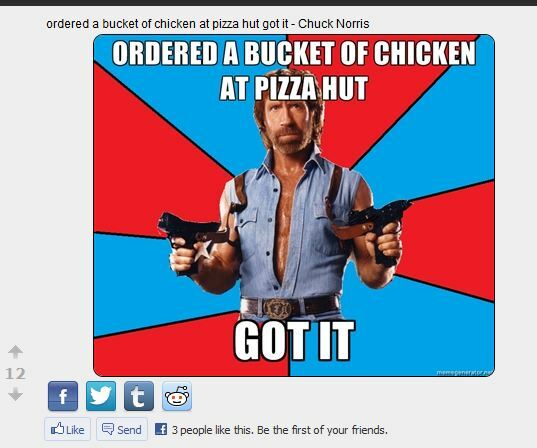 Meme Generator isn’t selling a product per say, but their easy-to-use meme creator makes it easy to share a custom creation with the masses. Some people already view podcasting as outdated, but I disagree. Many forms of content are better presented as an audio conversation and platforms like iTunes make distribution a breeze. This is yet another method to help position your website as an industry leader. People always enjoy compelling and thought evoking conversation. Be the first website among your competitors to offer this via podcasting. In additon to their print and web presence, Men’s Health has a regular podcast that provides even more content for readers. These podcasts further saturate their brand and allow fans of the magazine to tap into their content at work or on the road. Perhaps a unique aspect of your business is such a good selling point that it requires an exceptional amount of exposure. Look no further than a microsite. A microsite is a separate section or domain that articulates a particular message your website wants to broadcast. It could be the fact that your products are 100% organic or the unprecendented level of testing that every product undergoes. Find that key value and create an entire website around it. Victor’s wooden snap traps have been made in the USA since 1890 and are the only wooden traps still produced in America. They used these key values to create a microsite emphasizing these exceptional features of their company. Despite all of the advances in technology, people can still only be in one place at a time. There’s times we all miss out on wonderful events like conferences, celebrations, announcements, launches, etc. Use your personal and unique experiences at events as a form of content marketing by live blogging from them. You’ll be a huge blessing to those who wanted to attend but couldn’t. Technology blogs do a great job of this every year at the various keynotes from companies like Apple, Microsoft and Nintendo. 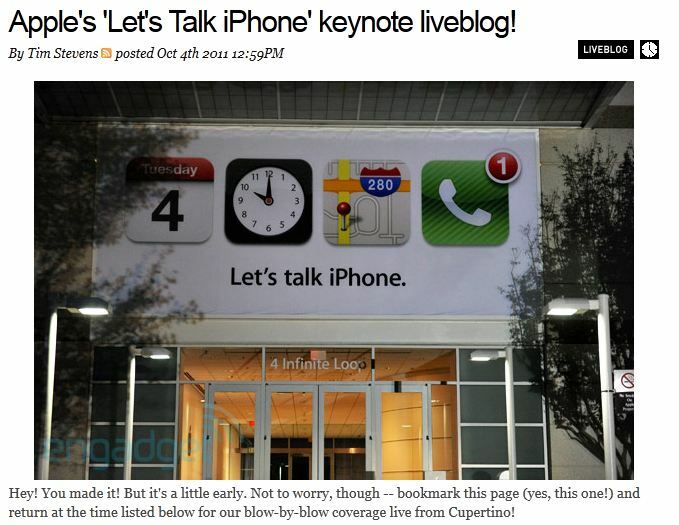 Nearly every major Apple announcement is live blogged by Endgadget. The coverage draws so much traffic that the site often goes offline. Find interesting people and ask them to be interviewed for your blog or website. It doesn’t have to be a formal sit down or anything…just exchange a few emails with questions and answers and – voilà! – you have some very intriguing and marketable content for your next blog post. Focus on subjects who are popular, unique or controversial. No matter who you interview, they’ll probably be happy to help you in promoting their thoughts and ideas. Ross Hudgens recently conducted an interview with Aaron Wall. It was a fascinating read (and I actually heard about it through Aaron’s promotions of the post). If you really love to write, then this is right up your alley. Free eBooks can be a tremendous tool for content marketers. They are often emailed around and even those with only a slight curiosity in your business don’t mind checking out something that is free. Take some time to personally email the eBook to a handful of bloggers in your niche. They’ll really appreciate the gesture and will likely share the book with their followers. 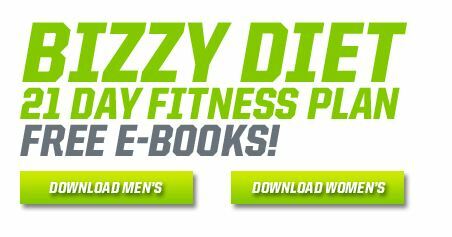 Muscle Pharm offers a free diet and workout plan in eBook form to anybody who visits their website. The eBooks are a great marketing tool because their product recommendations and offerings are built right into the workout plans. There are numerous free and cheap platforms available to host webinars on. There isn’t a better way to directly interact with a large number of people. Ask participants for suggestions or questions on Twitter in the days leading up to the event. Use a specific hashtag. It doesn’t take a lot to start generating some buzz about a webinar, especially if it is free. Even taking 30 minutes to do a live product demonstration with some Q and A is very effective! Hubspot offers frequent webinars on new media marketing. They even allow people to watch them on demand after they are over by filling out a simple form — a great tactic to continue to build email lists and further identify who is in their target market. Whatever industry your website is in, illustrations are a great asset for your content marketing campaign. The artwork doesn’t have to stand alone — it can supplement a blog post or another piece of content. 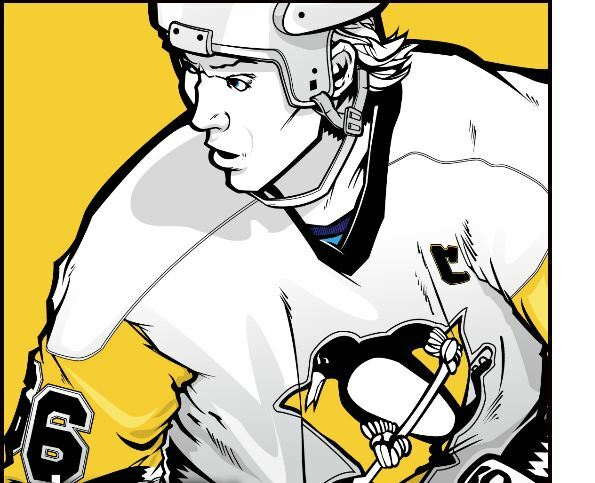 This amazing graphic was posted on an NHL blog I enjoy. In this case, the artwork is good enough to stand alone as exceptional content and can be used to attract links/shares into the site. Have any other suggestions for types of content marketing? Leave a comment below and we’ll add them to the list!